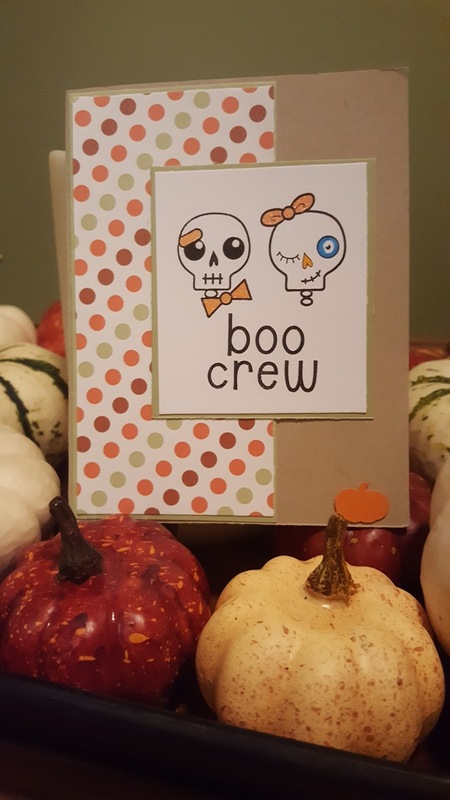 Create Embellish Adore: Boo Crew & Boo You! Boo Crew & Boo You! I have a 2016 goal to get my holiday cards out before the holidays... no matter what holiday it is (birthdays, anniversaries included). This is sometimes very difficult for me because I forget to take picture upon completion and I want to do that among the other chaos, and then I am late/forget. Procrastination at its best - they are being addressed and 1SG is stuffing envelopes and I am like "OH WAIT"... Click (with camera phone). No best lighting but still just as cute. I really am trying to keep to that 'goal' ... its October and I have only missed 6 birthdays! LOL.. thats usually the reminder I get from the other half. I have started on the Christmas cards... GOAL= completed about 10 a week. Starting in September. To date: I have made 15 & 7 of those are not glued together, they are ready for assembly - thats half the battle right? I have a good excuse... 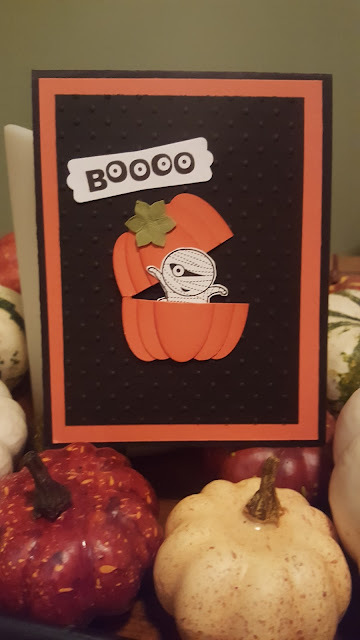 I made 20 of these little pumpkin guys- and they were a time consuming! I will catch up... I promise! ... a few late nights before December 6 most likely!